We're a privately owned residential agency dealing with student lettings, professional lettings & property management. We are pleased to offer this stunning one bedroom, one bathroom apartment, in the Aaben Development. A new development of 105 homes, located on Leaf Street in Hulme. The Aaben is the first One Living development by One Manchester, a not for profit organisation providing homes and community services in Manchester. One Manchester's aim is to create communities that are safe, happy and prosperous places to live. All money raised will go into funding other One Manchester projects. You will be able to rent your home for as long as you need to, giving you both security and peace of mind. This apartment briefly comprises an open plan kitchen and living room with galley style kitchen, a spacious double bedroom and bathroom with shower over the bath. 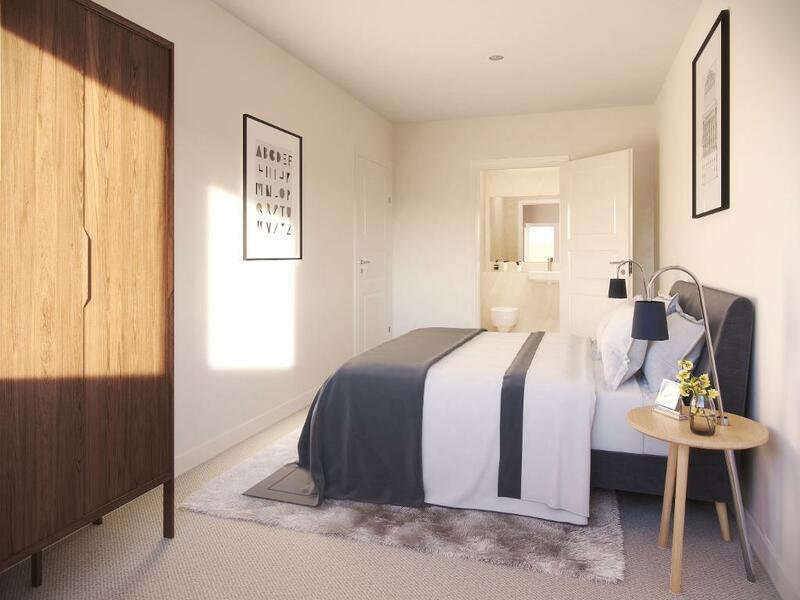 Each property is finished to a high standard, featuring wood effect flooring in the living area and hallways, as well as carpets in all bedrooms. The kitchen has contemporary high gloss fitted furniture, oak coloured worktops complemented by wall tiling. Every apartment has an integrated washer dryer, a large fridge freezer, integrated dishwasher, hob, cooker hood and oven. Additional benefits with this apartment include underfloor heating, lifts to all floors and secure cycle storage.